In a foodie world where the players are either hard-arsed and aggressive ( Gordon Ramsay, Marco Pierre White), or at times, slightly too voluptuously sexual (Nigella Lawson, Sophie Dahl), or just plain weird ( Those Two Hairy Bikers and The Two Fat Ladies) it's wonderful to know that the soft-spoken, gentle, kind Nigel Slater still turns heads. Or at least he does mine. 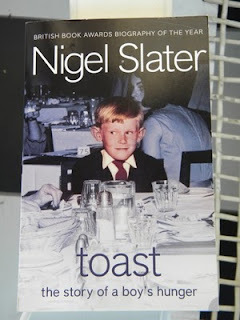 Toast - The story of a boy's hunger is a book about his recollections of his childhood and his food memories of that time. It is heartbreakingly beautiful ('there are shouts from the boys up the road firing snowballs at one another. I am playing alone, about a hundred yards from them. My mother is watching me through the dining-room window. She looks worried. I am the proprietor of an imaginary cheese shop, carving slices of Cheddar from the rock of snow lit by the street lamp.') and wonderfully funny. ('For an eight-year-old boy there is only one true requisite of jelly. And that is that it makes a squelching sound when you dig the spoon deep into its orange depths. A sort of jelly fart. The louder the squelch the better the jelly.') It is without a doubt one of my favourite foodie books. Because of its searing honesty and emotional complexity. 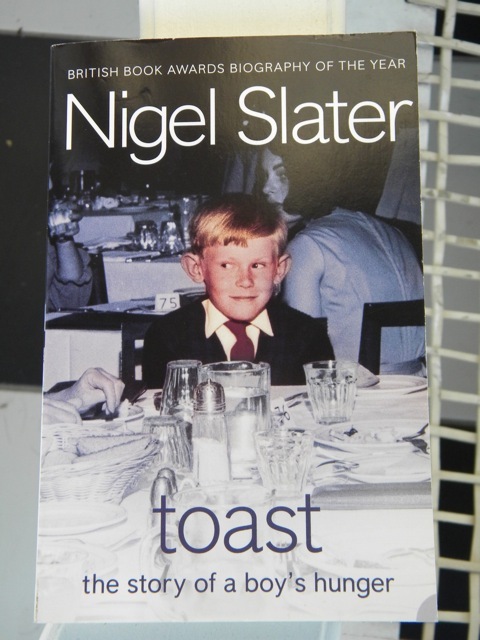 My friend and mentor Joan always say's that people who love food make the best writers.I think she has a point.Especially when it comes to Mr Slater. I wish he were a friend of mine. I think I could be quiet with him. So here is my favourite Nigel Slater recipe: Sticky Chicken Thighs with Lemon and Honey from his TV Series Simple Suppers, this one is dead easy, but also surprisingly complex when it comes to taste. The chicken thighs are marinated in a mixture of freshly squeezed lemon juice, lots of runny honey, a dollop or two of grainy mustard and some ( ok, I use lots) crushed garlic, pepper and sea salt. Then cooked in the oven till it's all nice and sticky and sweet with a tang of lemon. And then comes the best bit: a mixture of mashed green olives and bits of preserved lemon ( I use the fabulous ones from Oded's Kitchen, given to us by our lovely friend Joan). The saltiness of the green olives, and tanginess of the preserved lemon, is sublime when combined with the sweet honeyed garlicky taste of the chicken. In fact, at first taste, you're unsure as to whether or not you really like the combination. And then with your second bite you're absolutely hooked. This and a nice glass of chilled chenin blanc will keep you company. And if its a solo dinner, read the book Toast, or any one of his recipe books, especially The Kitchen Diaries. You'll almost fool yourself into thinking that you really, really do know him. And that he gave you the recipe, scribbled on a scrap of paper, late one rainy Sunday afternoon, after you'd gone for a long walk in the country with the dogs. I have avidly read every one of your posts in Taste magazine - the first thing I turn to! I am however so far behind in magazine reading, only just found out about your blog. Belated welcome home :) and thanks for the recommendation of this book. 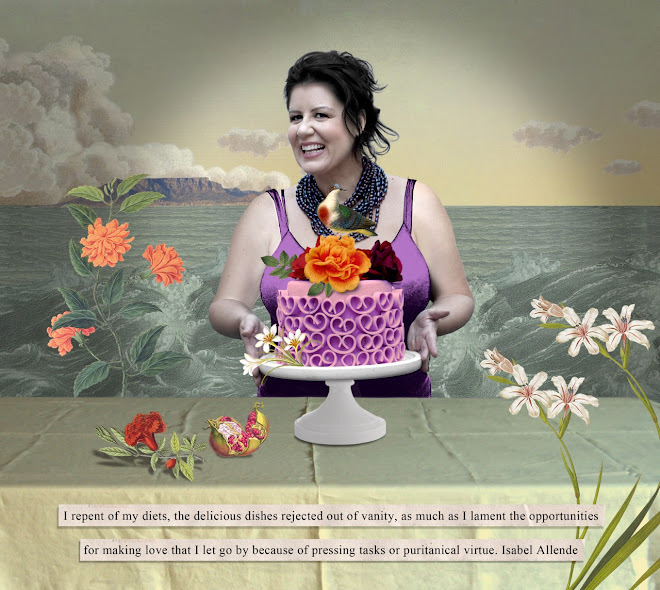 Thanks so much for the 'welcome home' wish and for liking what I write in Taste. There will be more book recommendations, because if I had to choose between cooking and reading, reading would win every time...And as for being behind in your magazine reading, is there anything nicer than a pile of them next to your bed, just waiting for you, a peaceful half hour and a mug of tea? I think reading takes priority any time, even though I love cooking. Sending you positive thoughts on the loss of your friend.